I don't know if you are anything like me, but now the days are longer, and the sun is out, I would prefer to be outside for an evening walk, attending a pilates class, or binge watch the latest Netflix series than being stuck in the kitchen for the night. Thank you to everyone who loved my last soup, with Simon's Nana's secret recipe. 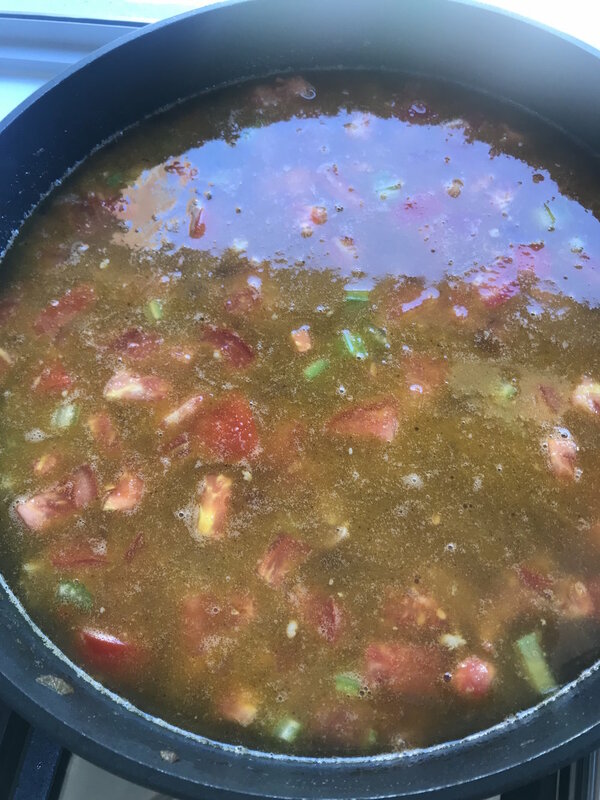 I have had many requests for another easy and tasty soup. Today when I went to the farmers market, I was excited to see my gorgeous "Mushroom Lady," who attends once per month. Her mushrooms are exotic, and the most beautiful I have ever tasted. I use them in my mushroom risotto's, and today she had "black fungus" mushrooms. I have only seen these sold dried, so being able to purchase fresh was brilliant. At Clove Garden's website, they state the "black fungus" mushroom in Chinese medicine to improve blood circulation and relieve atherosclerosis, (cardiovascular disease). Preliminary tests in Western medicine are encouraging and include confirmation of anticoagulant, (blood thinner) properties. My gorgeous mushroom lady told me these mushrooms are often used in soups and stir fries in China and Korea, and she kindly gave me her favourite mushroom soup recipe. So with celery, carrots, and tomatoes in the fridge, which I needed to use up, the soup she suggested below is perfect. Dinner for us the next few nights are sorted so that I can enjoy the sunshine. Herbs to add in. I am using coriander today. Heat up olive oil on low heat. Add chopped onions, garlic and chilli. Then add chopped chicken, (which I always use a different board). After 5 minutes, add chopped celery, carrots, tomatoes and stock. Stir in and cook for another 5 minutes. Add enough water to completely cover. Bring to boil and simmer for 1 - 1.5 hours. Add torn mushrooms for the last 10 minutes with herbs. Enjoy. Nov 22 How To Decode Food Labels? Nov 21 Are We Too Focused On Our Child's ATAR Scores?